Close to 2.3 million individuals are exposed to respirable crystalline silica in construction and general industries. 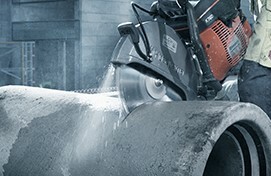 Exposure occurs during specific work-related tasks that create respirable silica dust, very small crystalline silica particles, that are inhaled. To provide a comparison, respirable crystalline silica is at least 100 times smaller than sand particles found on beaches. Over a period of time, exposure is harmful and possibly lethal. Respirable crystalline silica exposure can significantly increase the risk of cancer, silicosis, chronic obstructive pulmonary disease, and kidney disease. To better protect works, The Occupational Safety and Health Administration (OSHA), on March 25, 2016, finalized two new silica standards, one for general industry, maritime and for construction. PHASE Associates will provide the necessary support to protect personnel against respirable crystalline silica inhalation hazards. We have experienced industrial hygienists that can develop and implement engineering controls and work practices; provide training and conduct air measurement sampling and silica dust surveys.